Zambia is a landlocked country in Southern Africa the size of France or Texas. Traveling by a Zambia 4wd campervan rental from Britz Campervans, Kea Campers or Caprivi Car Hire is a comfortable way to experience ‘real’ Africa; as distances between sites and cities are large. Outside of Lusaka and Livingstone, Zambia is best known for being the best spot in Africa for a safari; as well as the most real exposure that travelers can get into tribal life and culture. Additionally, from Zambia you have access to Victoria Falls; one of the Seven Natural Wonders, and a UNESCO World Heritage site. To stock up your provisions or exchange your dollars to ‘kwacha,’ take your 4×4 campervan rental in Zambia to Lusaka, the capital and largest city of Zambia. Here you’ll find restaurants and shopping, as well as some interesting nightlife activities. You’ll also be able to change big-denomination dollars (US$50 and 100) with better exchange rates. Look for official ‘bureaux de change’ and avoid roadside exchangers. Because of lack of Western homogenization of parks in most places and the abundance of reserves; Zambia has such a great safari scene. You can choose to either go on a guided or self-guided tour. Because you’ll be visiting in your 4WD camper rental in Zambia, you’re best equipped to take a safari on your own. You’ll have a place to stay, and a camper for safety and a quick change of speed, if needed. Try taking a safari in Lower Zambezi, Kafue, or South Luangwa during the dry season which runs from May to August. The temperatures are not as hot from September to November, although the hot season is best for wildlife safaris when remaining watering holes are packed with wildlife. 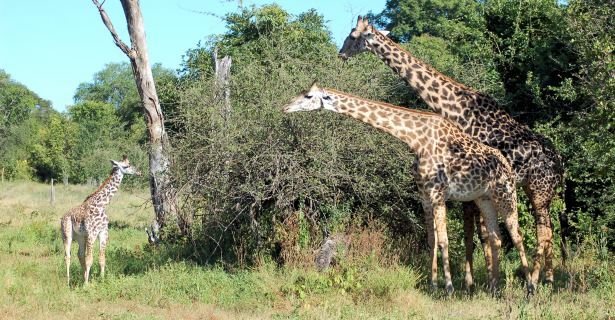 Touring the South Luangwa National Park will give you a direct link to Mfuwe. Mfuwe is a moderately sized village that offers basic amenities and a peek into African life; as well as having a wonderful campsite for those traveling by 4×4 campervan hire in Zambia. Take some time to sample their staple ‘nshima’ (porridge) or ‘nkuku mu chikasu’ (village chicken). From Mfuwe take your 4WD Zambia campervan hire out to Shiwa Ngandu; a mansion that was built over a 100 years ago by Stewart Gore Brown, an eccentric British gentleman who settled the area. It’s a wonderful look into both a beautiful mansion, as well as a bit of Zambian history. Shiwa Ngandu also offers a campsite, as well as hot springs for relaxing and unwinding. After so much driving around in your 4WD camper hire in Zambia, it will certainly feel like a treat! If you’re planning on heading out to Malawi, check out Chipata, the provincial capital of the Eastern Zambia Province, along the way. Take a trek out to West Lunga National Park in your Zambia 4×4 campervan hire. The park is covered by lush forest; and offers a new assortment of wildlife to view, new plant life to experience, and new grounds to hike. From your campsite here, you’ll be able to enjoy some bird-watching: Keep your eyes peeled for the endemic Chaplin’s barbets. While Zambia’s side of Victoria Falls has long played second fiddle to Zimbabwe’s, a trip in your Zambia 4WD campervan rental to Livingstone from where the first European gazed on the falls, rewards with a spectacular view of the sheer size and scenery of the 2-kilometre wide Zambezi River tumbling 100 meters down into the yawning abyss. After you have walked the hair-raising footbridge to the ‘Knife Edge’ and taken in the view of the Eastern Cataract, pump more adrenaline into your activities by bungee-jumping from the Victoria Falls Bridge, running the rapids, or abseiling from a vertical cliff face.